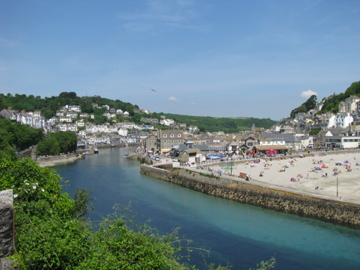 We spent a couple of beautiful days in the area of Looe and Liskeard in Cornwall. It is easy to see why so many people visit Cornwall every year, especially on a sunny day walking on the coastal path with the scent of honeysuckle and elderflower. The pride that the Cornish take in their food is both apparent and understandable. Cornwall is famous for its seafood, as anyone who has ever watched Rick Stein will know. 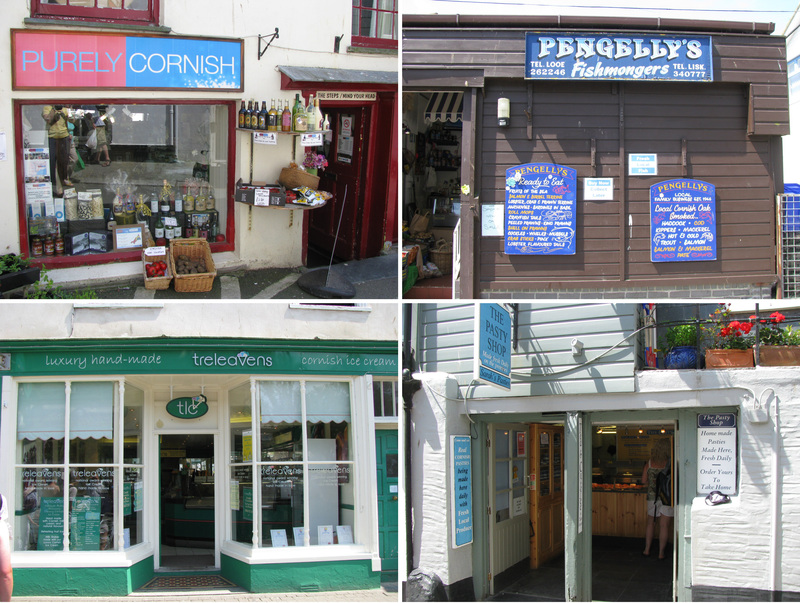 We went to Pengelly’s a very well known and popular fishmongers, where the fish comes from small day boats. 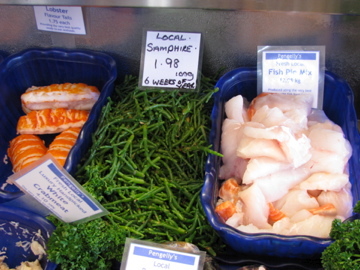 We were lucky enough to find samphire, an edible sea plant that has a very short season. It is salty, green and crunchy and can be eaten raw or cooked. We ate some with a picnic lunch of local smoked mackerel and the rest in a salad. 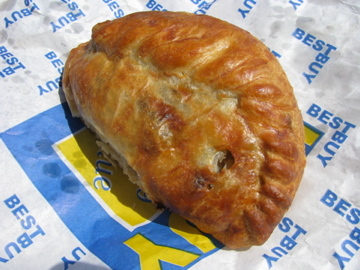 Cornwall is most renowned for its pasties. Cornish pasties now come in a huge array of flavors and are available all over the country. My favorite is cheese and onion, but we sampled a traditional pasty, from the pasty shop, with crispy pastry and a steaming steak and potato filling. Another Cornish delicacy is clotted cream which is a traditional part of the English cream tea, served with scones and jam. It is a very thick cream with a buttery crust. It is also used in fudge and ice cream and Cornwall has several award winning ice cream makers. Lots of the flavors sounded very English: gooseberry fool; raspberry pavlova, apple and blackberry crumble, Cornish golden crunch and rhubarb and clotted cream. 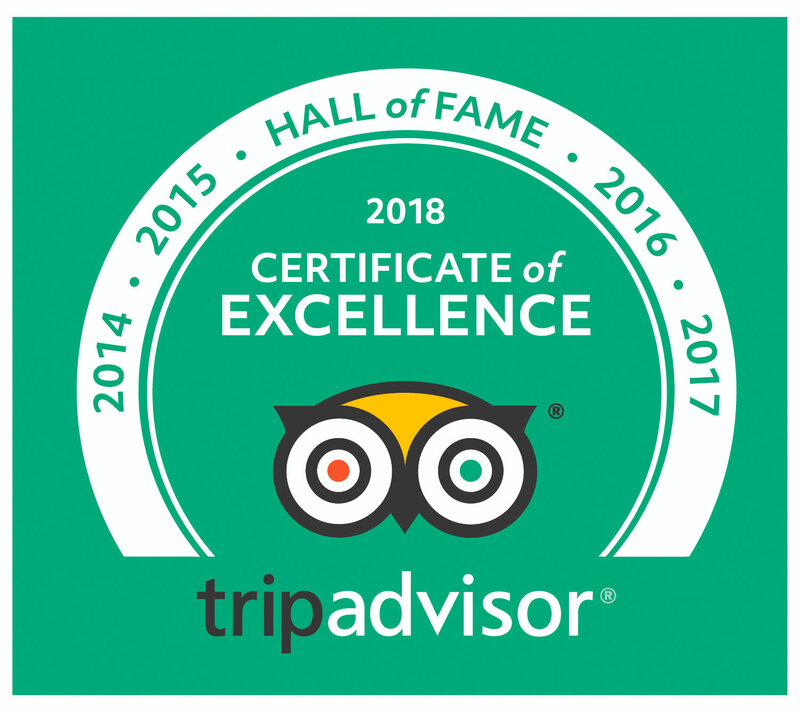 We stayed at a charming Bed and Breakfast called the Trussel Barn in St Keyne. 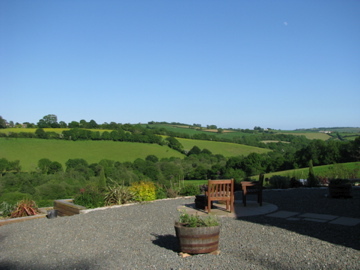 Beautifully restored, gorgeous views and extremely hospitable owners. 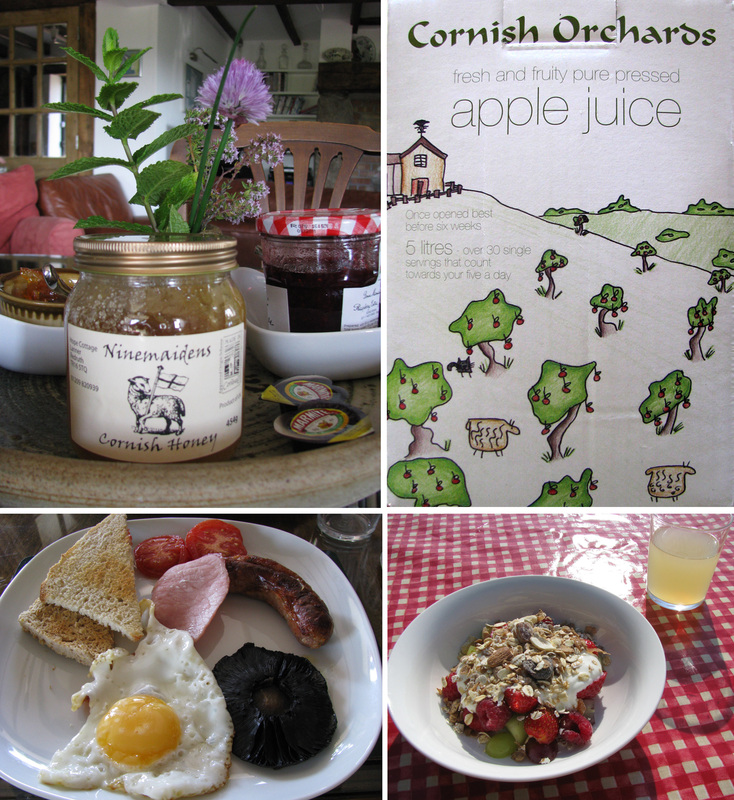 The Cornish pride was again apparent at breakfast with a delicious range of local products featured. We visited Cornish Orchards on our way back from Looe and sampled several of their different apple juices and ciders, made from a variety of different apples including Old Cornish. One other place in Cornwall I should mention is Sunshine Deli in Liskeard who in addition to the deli have a catering business. Sadly I don’t have a photo, but they produced a stunning spread with pasties, breads, cheeses, sandwiches, fruit and cakes. A separate post about a wonderful dinner at Langman’s Restaurant will follow. I just read that the only company in the UK that produces salt directly from the sea is The Cornish Sea Salt Co. We bought some at Pengelly’s.